Did the dreaded “d” word appear on your New Year’s Resolution list this year? If you are like most people, the word “diet” makes an all too frequent appearance during resolution making, physician checkups, and daily life. Fad diets, as seen on miracle diets, and weight loss promising supplements all vie for a struggling dieter’s attention. When I saw the title of Stan Spencer’s book, The Diet Dropout’s Guide to Natural Weight Loss, I not only had to smile--but, I had to read it! 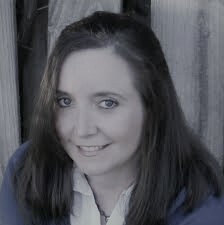 What was this frequent, diet dropout’s review of The Diet Dropout’s Guide to Natural Weight Loss by Stan Spencer, PhD.? Summary of The Diet Dropout’s Guide to Natural Weight Loss by Stan Spencer, PhD. Spencer reaches out to diet dropouts--explaining why weight is so tough to manage, why diets fail and why (and how) a more natural approach to weight loss is more successful for long term weight management. The Diet Dropout’s Guide to Natural Weight Loss offers a lot of information, resources, references, tips--and even recipe ideas--in a short, easy to read guidebook. 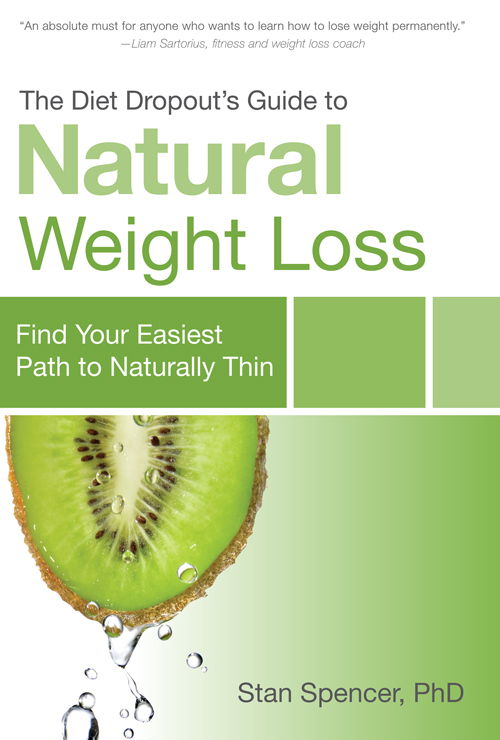 The Diet Dropout’s Guide to Natural Weight Loss is not just another diet book. How many diet books have you read? I have read everything from textbook-like diet and nutrition reference books to e-books dedicated to random fad diets. The Diet Dropout’s Guide to Natural Weight Loss successfully addresses so many diet topics in such an informal, conversational way that readers quickly absorb a lot of extremely, valuable diet related material--without getting discouraged and bogged down in scientific statistics and confusing details. What did I like best about The Diet Dropout’s Guide to Natural Weight Loss? 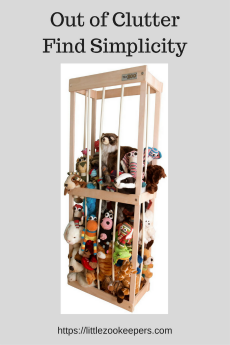 This book is written for today’s dieter! It contains well-written, concise chapters--packed with quick, easy to understand facts and tips. It’s easy to scan for information--and easy to read in short bursts of time (which I need in my house!) I loved that I was able to take away so much useful information quickly! Would I actually use and recommend The Diet Dropout’s Guide to Natural Weight Loss? I honestly found myself quoting from the book frequently. Concepts, like being active efficiently and taming temptations or emotional eating are well presented and tips are easy to understand and share with others. It makes sense. The book offers a “thin habit checklist” to help readers modify habits that often make or break weight loss efforts--and directs readers to resources throughout the book to help understand and nurture (or break) each habit. While I knew a lot of the information presented in The Diet Dropout’s Guide to Natural Weight Loss before I reviewed it--I found the format and writing style extremely motivating and useful. I was able to refresh my memory with relevant points that I really find valuable to achieving my longterm weight loss goals. Even if you think you have read it all before in the dieter’s world--I would encourage you to give The Diet Dropout’s Guide to Natural Weight Loss a read--and give the natural weight loss concepts a valid effort. You can also Follow The Diet Dropout's Guide to Natural Weight Loss on Facebook or Stan Spencer PhD on Twitter. Ready to buy the book? 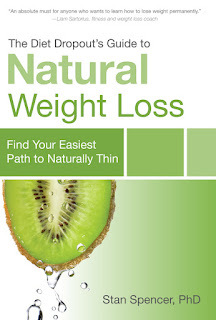 You can buy The Diet Dropout's Guide to Natural Weight Loss (Print) or for Kindle ! Disclaimer: I was provided a complimentary copy of this book for my review. As always, my opinions are my own.